Our Collection at Boxers and Briefs contain only the highest quality Tommy Hilfiger Mens Swimwear. 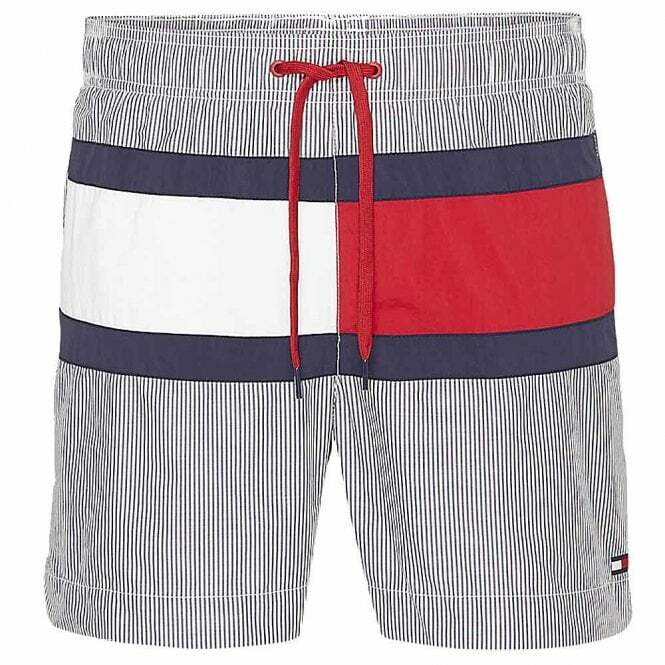 In our Tommy Hilfiger Beachwear range we have the Tommy Hilfiger Medium Drawstring Swim Shorts. In this range we have the ITHACA Navy Blazer / Snow White Tommy Hilfiger Core Flag ITHACA Medium Drawstring Swim Shorts available in multiple sizes ranging from Small to Extra Large.